Same Girl Different Hair review!!!! Hiiii, I’m so excited to review my purchase from Same Girl Different Hair. I posted about the launch over a month ago (https://hairshegoesagain.wordpress.com/2012/11/09/mia-ray-same-girl-different-hair/) and I wanted to wear the hair for a while to be able to give an accurate review. When I received the hair it was brown, comparable to maybe a “#2”. It was actually very close to my natural hair color but since I have been wearing my hair black, I dyed the extensions before they were installed and washed them using Clear Scalp Hair Therapy (a product I received in my Curlbox). The extensions are 18 inch deep wave. The packaging was nice and neat and there was even a SGDH t-shirt included. I liked the texture of the hair and I liked that the hair was not thin or too silky, especially since I have very thick hair. I had never worn virgin extensions or wavy hair before SGDH so I was a little concerned because I didn’t know if the two bundles I ordered would be full enough to cover my big head. Well, not only was the hair enough but my stylist had a little left over. The day after the install my hair was big. I like big hair but I’m talking Sister Act, Sister Mary Clarence big. This was not a mark against the hair itself but all on my part since I blow dried the hair before my install. The website states to let hair air-dry before install but I was rushing and did not listen. Bad Chenal 😦 So, day two I decided to co wash my hair and let it air-dry this time and baby, the love affair began!!!! Every good thing people have had to say about SGDH is right. A few things I love is that the hair took the dye well, it is very light weight, it is bouncy, it blends well with my non-relaxed hair, it is easy to curl, straighten and maintain. At night, I put it in a high bun and put on my bonnet or I section it into four sections and braid each section then put on my bonnet. I love how wavy and pretty it is the morning after I braid it. I have worn this hair in it’s natural wave, straightened, curled (by flexi rod) and wavy (by braid). I’m sure results will vary for each individual and a good sew in is all about a good install, healthy hair underneath and proper maintenance but I will definitely purchase Same Girl Different Hair in the future and I highly recommend it. 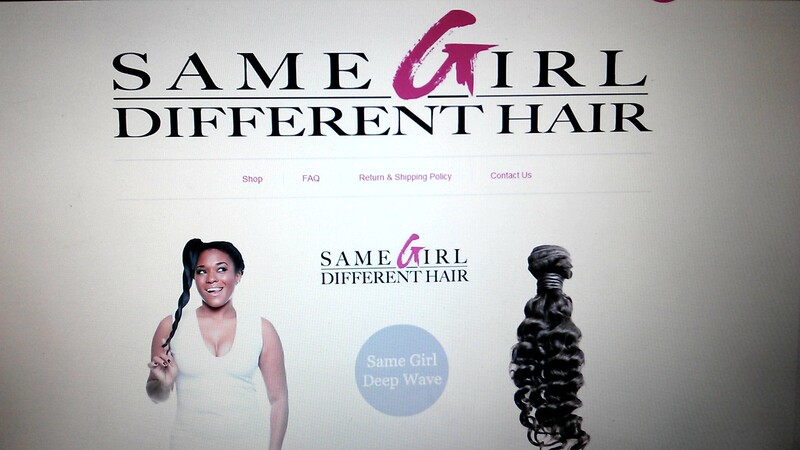 Visit http://www.samegirldifferenthair.com/ to purchase and visit the ‘FAQ’ page on the site for more information. I love curls, curls, curls, curls. Curls I do adore!!! Okay ladies, here are a few videos on how to achieve pretty bouncy curls. These videos/tutorials are not my own, but simply those I have seen online or tried and liked the result. Enjoy!!! *Click the video titles to redirect to YouTube and subscribe to these ladies. 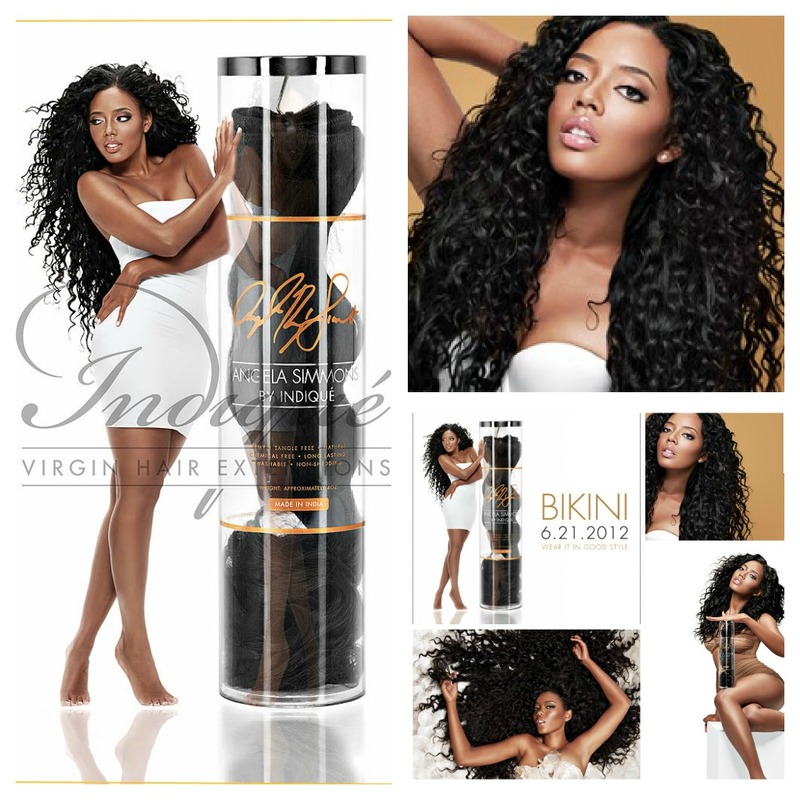 Well ladies, it looks like Angela Simmons has more up her sleeve than sneakers. 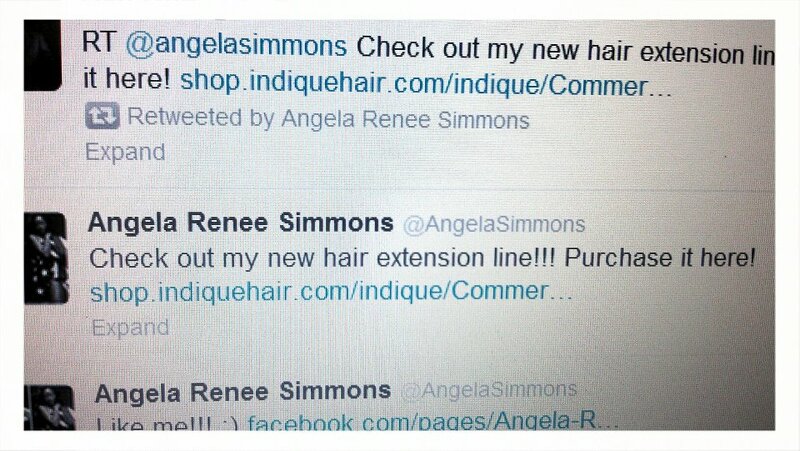 I recently saw via twitter that she has a new hair extension line.